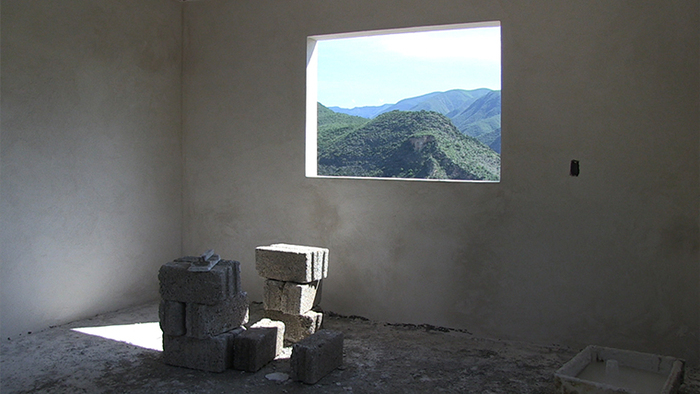 Oscar Molina, Metztitlan's landscape through a remittance house window, 2016, Metztitlan, Mexico. Courtesy of Oscar Molina. 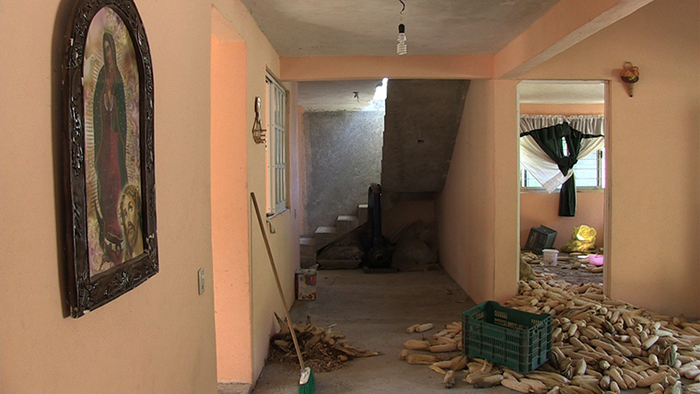 A legion of houses are empty or face uncertain destinies in Metztitlan, Mexico. They stand out in this rural community for their size and appearance, foreign styles, and expensive or imported materials, calling attention to the material wealth of their owners. The people who built them emigrated from this town to Philadelphia, Pennsylvania, with a dream to secure funding from a more developed economy to make the house they never had before on their land. However, after their dream has been built, they don't return to dwell in it. The architecture of the uninhabited remittance house depicts a metaphor of how the notion of “house” becomes fragmented through the experience of migration, hegemonic lifestyle representations, and the transnational exchange of capital. Aggie Ebrahimi, associate producer, is an award-winning, Iranian-American documentary filmmaker and educator who is well-versed in questions of immigration and diaspora. Ebrahimi holds a master's degree in multicultural literature and women's studies from the University of Georgia and an MFA from Temple University. 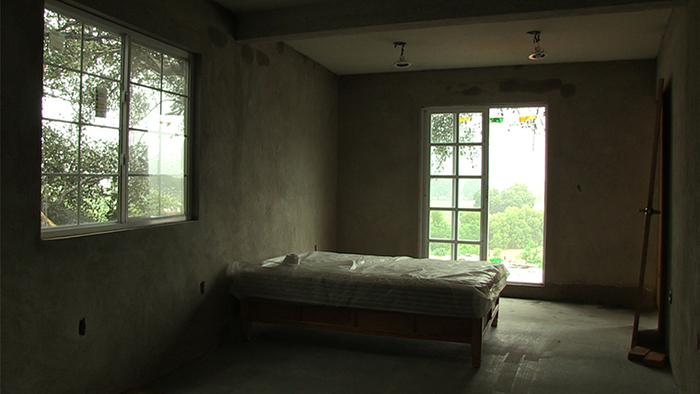 Her most recent film, Inheritance (2012), blends poetic and observational documentary forms to investigate diasporic identity formation and gender politics in the shadow of the Iranian Islamic Revolution. 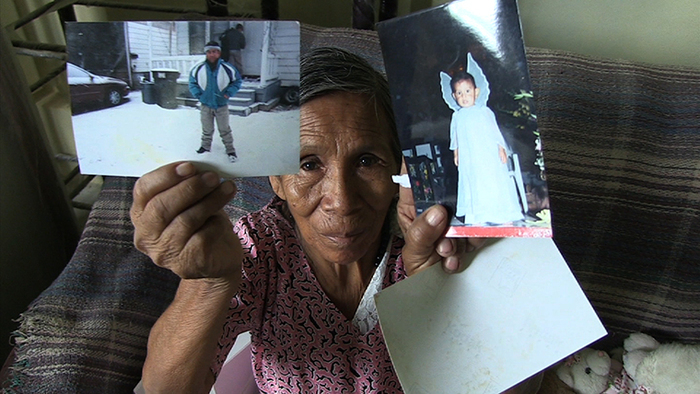 In 2013, Inheritance received the Loni Ding Award for Social Issue Documentary at CAAMFest. Ebrahini is currently an assistant professor of film production at Muhlenberg College. Oscar Molina is a Colombian documentary filmmaker who studied film at Columbia University and completed his MFA at Temple University. His video work has been broadcast on national television and exhibited in film festivals around the world, including Havana, Cuba (1996 and 2000); Rosario, Argentina (2000); Fipatel, Biarritz, Francia (2000); Bogota, Colombia (2003); the Mexican Human Rights Film Festival (2003); the Nextframe Festival (2009); and dance film festivals in the United States and Spain (2010 and 2013). In 2004, he received the Simon Bolivar National Journalist Prize for his documentary The Enchanted Kingdom. 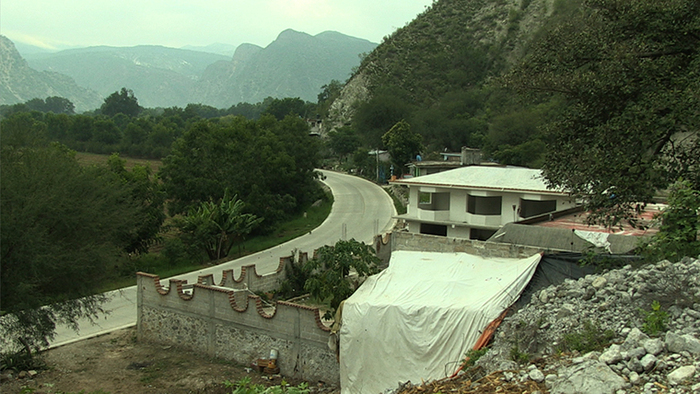 His documentary Ciudad a Tres Bandas is part of the Colombian Documentary Showcase (La Maleta). Molina has served in several positions, including programming director at the art cinema house Colombo Americano (2004–06) and funder/director of the Sin Fronteras Film Festival (2007–08). Catalina Ortiz is a lecturer at the Bartlett Development Planning Unit in the Building and Urban Design in Development Progam, which seeks to contribute to shaping just cities in the global south. She holds a PhD in urban planning and policy from the University of Illinois at Chicago, where she studied as a Fulbright Scholar. She also holds a master's degree in urban and regional studies and a BArch from the National University of Colombia. Her professional experience focuses on teaching, research, and consultancy, linked to international organizations, as well as national and local governments, around urban projects and spatial planning issues in Latin America. Ortiz previously worked on full-time basis for the National University of Colombia (Medellin), where she was director of urban and regional planning at the School of Architecture, leading collaborative initiatives in transnational design studios on spatial strategies for informality. She also served as a visiting fellow at the Latin Lab at Columbia University’s Graduate School of Architecture, Planning and Preservation, and at Massachusetts Institute of Technology’s Department of Urban Studies and Planning. In addition, she has worked as a senior consultant in urban development for the Inter-American Bank, the Cities Alliance Program, and the Informal City Requalification Foundation (ReCI). Sandra Tabares-Duque has curated and produced film festivals and cultural activities in Europe and Latin America. Currently, she is focusing on the production of diverse and boundary-pushing forms of audio-visual and transmedia storytelling. Tabares-Duque has been selected as a Future Producer, through an initiative between Tribeca Film Institute and the Sheffield Docfest. Her latest major film productions are the multiple award-winning Quipu Project (UK/Peru), a feature documentary film and interactive cross-media project (Tribeca Film Festival Interactive Day, 2015; IDFA, 2015; HotDocs, 2016; the Guardian Documentaries, 2017), which combines low and high technology to connect the voices of people affected by a campaign of forced sterilization in 1990s Peru, and the feature film InnSæi (UK/Iceland), which has been screened at the Reykjavik and San Diego International Film Festivals and on Netflix. Her prior projects include the Arts Council of England award-winning film Sailing Out Of Grain (2012), and the Colombian film Did You See Cristina On The 7th March? (2012). Brenda Isabel Steinecke Soto holds an MA in philosophy from the University of Hamburg. Her artistic work emerges at the intersection between choreography and other arts, focusing on the physical and social spaces of particular territories as a motivation and conceptual path for her research. She is cofounder of the artistic collective Bassedanse Project (Hamburg, Germany), and director of the nonprofit organization Espacio Arte Foundation (Medellín, Colombia), whose approach relies on boosting dynamics of social transformation through multidisciplinary artistic projects, intertwining work in a local and international context. 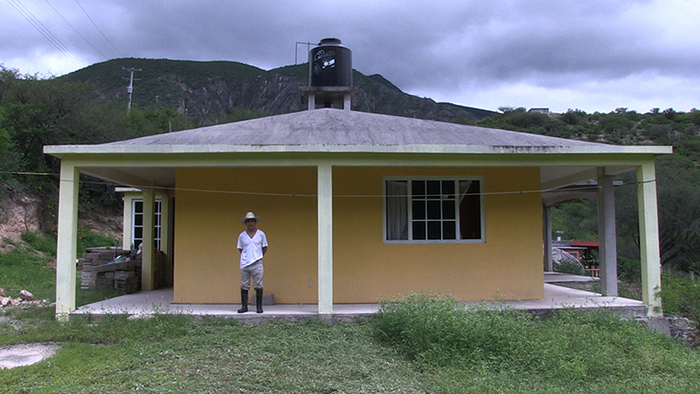 The Espacio Arte Foundation performs as a platform and site for professional projection for the arts in Colombia.